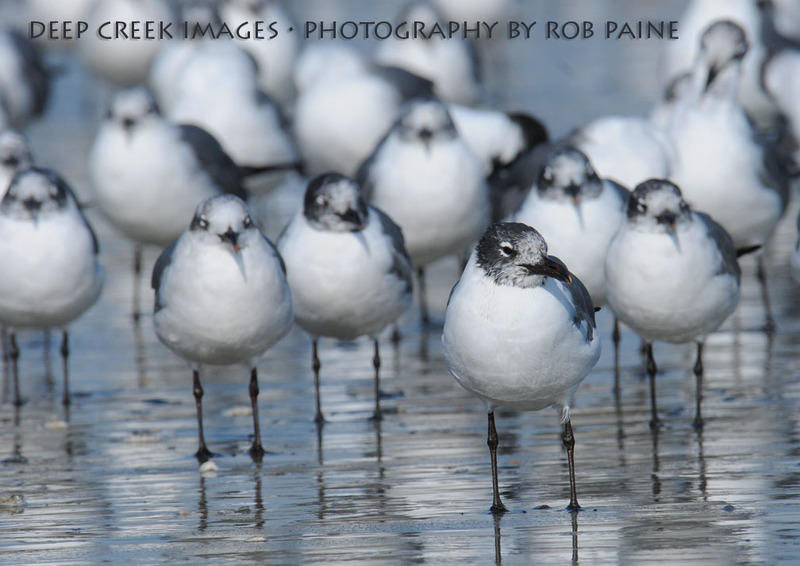 A dense grouping of seabirds stands near the surf at Myrtle Beach, S.C. in February. thanks gale. About a minute after I took this photo a little girl playing on the beach ran up to the birds and they all flew away talk about fleeting moment. I love the feeling you have conveyed of these being a dense mob, despite there being few birds in the photo.